September and October have been a couple of busy months for me. From unexpected plumbing adventures (plural), to freelance illustration, to preparing merchandise for GeekGirlCon and tabling at said convention, I’m beat. One of these months would have been okay, but the two stacked together caused extra debuffs to my energy level. As a result, there is only one page this month. My deepest regrets extend to you, dear readers. This is the first time this has happened in the nearly three years Nwain has been running. I moved in February to a lovely house in a nice, quiet neighborhood. Aside from the constant leaf-blower noise on landscaping days, it’s a wonderful place to work from home. Or it was, until the hall bathroom toilet started to drip at random, aggravating intervals in early September. I tried to locate the problem, but ended up needing professional help. The plumbers suggested replacing the sixteen-year-old toilet. So Mom and I said in our innocence, why not replace the one downstairs too. When removing the downstairs toilet, the plumbers discovered a soft, spongy floor beneath. A slow, tiny leak had been seeping into the floor, degrading it. One day, perhaps, I might have sat on the toilet and suddenly crashed 5 feet down into a moldering crawlspace and out the front yard. However, that dreadful fate has been averted thanks to a collection of heroic water damage repair specialists and flooring contractors. The downstairs bathroom is now safe for Democracy. The journey involved a set of industrial-grade dehumidifiers and air filters which filled the house with the dulcet sounds of a didgeridoo as played by a blue whale, which must be left on at all hours. At least it was all over by mid-September. Or so I thought. While the plumbers were finally replacing the downstairs toilet, Mom and I said in our innocence, why not replace the one in the master bedroom, too. Why only replace two out of the three toilets in the house when we could do the third one now, too, we thought. It’ll be more consistent. How practical and forward-thinking of us, Mom and I agreed. The plumbers replaced the valve, but needed to go back to get the right size of toilet for the mini “just a toilet” room inside the master bathroom. The one they had was too big. They’d be back in a few days to actually replace the little stinker. That very night, at 2 AM, I flushed the old boy and heard what sounded like a jackhammer trying to excavate itself from a tin can inside the wall. Turns out, when the house was being built in 199-whatever, whoever was nailing the trim to the wall somehow wedged a nail deep into the toilet’s feed pipe. Replacing the valve had dislodged the nail, causing a joyful leak to splash down to the garage. We called upon the water damage repair specialists and the blue whale’s didgeridoo returned, this time in my bedroom. The filter was gone by early October, just in time for me to host my convention-going friends. 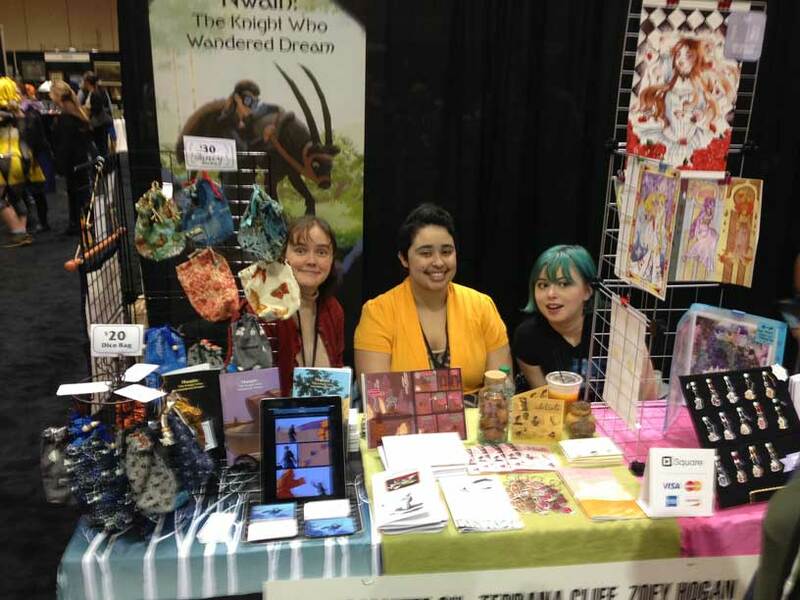 At GeekGirlCon, my friends Jo and Zoey and I shared a table. We had a great time! I sold several dice bags, which I had been cramming into the sewing machine all September (when not aiding plumbers, or working on Nwain, or drawing for Dragon Dodge). 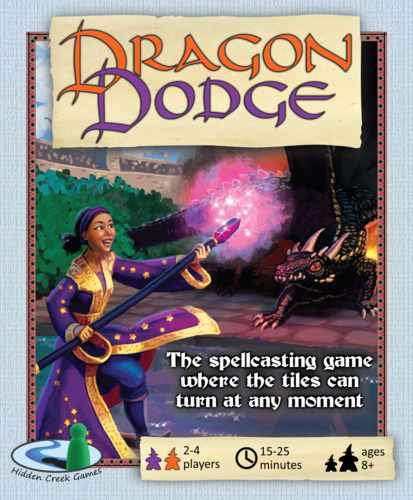 During all this, I’ve also been creating illustrations for a board game called Dragon Dodge. It’s a wizard-themed tile game that will be having a kickstarter soonish. I’ll keep you posted! I’m tired as walnuts, but I’m ready for next month. If I had attempted to make page 70, I’d be about as together as a basket of stunned kittens. As it is, I’m merely a basket of regular kittens. One of them is bound to get its work done.